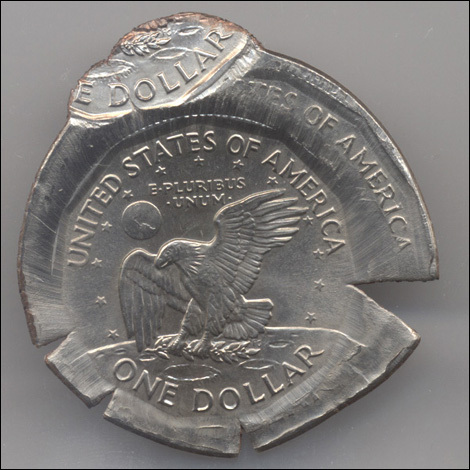 This is the largest SBA Dollar mint error that I’ve ever seen. 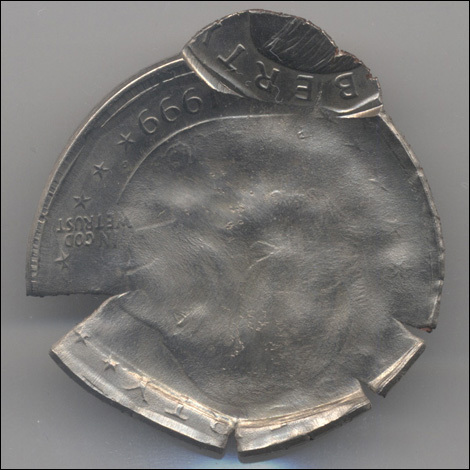 It is a multi struck reverse die cap and is the size of a Morgan silver dollar. The “exit” strike was 80% off-center and is die struck both sides. This last strike ejected this die cap. Somehow this spectacular and dramatic mint error survived.